Werken bij Heerema Marine Contractors - Traineeships, stages en starters vacatures! 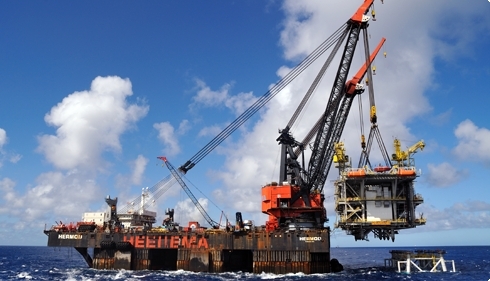 Heerema Marine Contractors (HMC) brings more than 50 years of specialized skills to the offshore oil and gas industry. Oil and gas companies rely on HMC for full offshore field development in the toughest of environments in all the seas of the world. We build long-term client relationships by solving what looks like impossible challenges and by delivering on our promises. Innovation and ingenuity are key to our success. HMC transports, installs, and removes all types of offshore facilities, including fixed and floating structures, and subsea pipelines and infrastructures in shallow, deep, and ultra-deep waters. From its headquarters in Leiden, HMC commands the entire supply chain of offshore construction, from design through to completion. Our services include engineering, planning, logistics, project management, and execution of projects all over the world. We are proud of our top expertise in project management and engineering, our passionate workforce, and a fleet that includes formidable heavy-lift and deep-water construction vessels.